Sermon: "Being Spiritual 2. Mysteries or Problems"
\ Sermon; Being spiritual: 3. Affirming the old in the New"
Note: Thus coming Sunday Pastor Tom will begin a series of Three Sermons on the theme of "Being Spiritual"
Sermon: "Being Spiritual: 1. Responding to Life"
Sermon: "Being Spiritual: 2. Mysteries or Problems"
The choir is on summer vacation; there is no introit. "This Is My Father's World," hymn no. 293, is the opening hymn. The National Cyclopaedia of American Biography says, "He was a clear thinker and a fluent speaker with a marvelous personal magnetism which appealed to all classes of people . . ."
He died at Naples, Italy, on 18 May 1901, at age 42. None of the biographies revealed how he died, but I discovered it by looking up the newspapers of the day. It was a suicide. He developed "Mediterranean fever" while on a homeward voyage from Constantinople after visiting the Holy Land. On 08 May 1901, his group reached Naples, and he was taken to the International Hospital there, suffering from "neurasthenia and gastric fever." He became "much depressed in spirits" and was, at times, delirious. 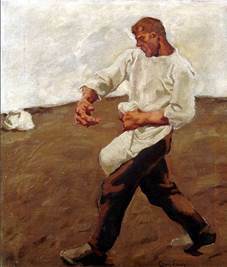 On 18 May 1901, he "was seized with an acute attack of mania. He locked his door" (he had a private room) and then committed suicide by swallowing corrosive sublimate (used to treat wounds before bandaging) and cutting an artery of his wrist with a knife. "and on the awful news being broken to her was almost demented with grief. She threw herself on the body in a paroxysm of weeping, and it was only by the use of force that she was finally compelled to leave it." "Dr. Babcock left no letter or any hint of any reason for the awful occurrence. The hospital authorities, however, have no doubt that the act was committed while the patient was temporarily demented as the result of the fever." He was to be buried in the British cemetery at Naples, but ultimately his body was shipped back to America on May 30, 1901, and he was buried in Syracuse (Oakwood cemetery) on 13 Jun 1901. His will bequeathed his estate to his wife, Katherine, but it was found to have a value of only $1,000. The Brick Presbyterian Church was criticized for having failed to have provided their pastor with life insurance. The tune, TERRA BEATA, is based on a traditional English melody. It is an arrangement by Franklin Sheppard. 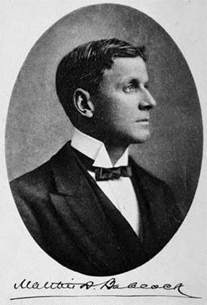 In 1915, Franklin L. Sheppard (1852-1930) set the poem of his deceased close friend, Rev. Babcock, to this tune. At the time, Franklin Sheppard was the President of the Presbyterian Board of Publications and Sabbath-School Work. The poem had 16 verses, but only three were selected by Shepherd for the hymn, "This Is My Father's World." Franklin L. Sheppard was born in Philadelphia and graduated from the University of Pennsylvania as valedictorian in 1872. He died in Philadelphia on 15 Feb 1930. There are a number of good videos for this piece showing different ways of performing the piece. The lessons are selected from the Revised Common Lectionary readings for the 15th Sunday in Ordinary Time, Year A. The gospel lesson is two readings from the thirteenth chapter of Matthew, Matthew 13:1-9, 18-23—a parable and its explanation; the Parable of the Soils (also called the Parable of the Sower). It's about how the fate of a seed depends on the quality of the soil upon which it falls. It may fall on the hardened ground of a road or path, or on rocky ground where there is little soil,, or among thorns (weeds) that choke out new growth—or the seed may fall on good soil. This parable also appears in Mark (Mark 4:1-20) and Luke (Luke 8:1-15), and it appears in the Gospel of Thomas. However, in each of the synoptic gospels the parable (given to a large crowd) is followed by an explanation (given only to the disciples). 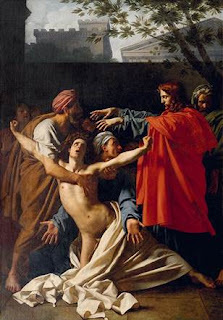 In the Gospel of Thomas, Jesus doesn't explain the parable to anyone. When I was on the farm, we no longer strolled through the fields with bags of grain tied round our waists, casting seeds upon the ground. We had a McCormick Grain Drill that we pulled behind our tractor, just like this guy: https://youtu.be/AGUDGnOhSsA (We also had a Model M Farmall tractor like the guy in the video.) There were a lot of parts and wheels in the drill that had to be set and changed depending on the grain you were planting: wheat, oats, milo, timothy, barley, buckwheat, etc. If you didn't get them all set correctly and also make sure the teeth of the wheels were all properly engaged, you could end up with a very spotty field. We didn't use it for large grains (as that required a more extensive swapping of parts). We had a corn planter for that, which I think we also used for the soybeans. One year my father planted some barley, harvested it, and took it to the Farmers Exchange to sell--only to discover that there was no market for barley, and the operators of the Farmers Exchange wouldn't buy it. They told him they didn't even have a grain elevator or granary for storing barley. My father should have made up a parable about that experience. The epistle lesson is Romans 8:1-11. It is about the polarity between flesh and Spirit. "Those who are in the flesh cannot please God." "For those who live according to the flesh have their outlook shaped by the things of the flesh, but those who live according to the Spirit have their outlook shaped by the things of the Spirit. For the outlook of the flesh is death, but the outlook of the Spirit is life and peace." It was passages such as these that led to Protestant Christianity's rejection of the body and its urges. Galatians 5:17 has the same theme, "For the flesh has desires that are opposed to the Spirit, and the Spirit has desires that are opposed to the flesh, for these are in opposition to each other, so that you cannot do what you want." The second hymn is no. 331, "Thanks to God Whose Word Was Written (or Spoken)." The words date from 1954 and were authored by Reginald Thomas Brooks. The verses are shuffled in our hymnal and the first verse is missing, hence the unconventional name of the hymn—which usually appears as "Thanks to God Whose Word Was Spoken." The author, the Rev. Reginald Thomas Brooks, also used the name "Peter Brooks." He was born in August 1918 in Harrow Weald, Middlesex, England, (or at Wandsworth, London, England—sources disagree). He attended first the London School of Economics then studied theology at Mansfield College, Oxford. He was a minister in the United Reformed Church. He also worked for the BBC in the religious broadcasting department. The Presbyterians did some editing of the original words for the blue 1990 Presbyterian Hymnal. They changed the ending line from "Praise him for his open word" to "Praise God for the living Word." The first verse has been omitted. The third verse has become the first. The fourth verse has become the second. The fifth verse has become the fourth. The second verse has become the third and has been rewritten. God has spoken: praise him for his open word. Heights and depths of life did share. Grace in human form declare. God has spoken: Praise God for his living Word. which is a definite improvement. A blogger, Catherine Rowett at http://cathythinks.blogspot.com , noted in 2006 that this hymn was massively rewritten before its appearance in the New English Hymnal, a hymnal for use by the Church of England. In that hymnal, the first line is "Praise to God whose word was spoken," and it is set to the tune ST. RAPHAEL. and continuing to speak to us today (verse 5). Each verse finishes with "God has spoken, Praise God for his open word", except the last one which goes "God is speaking: praise God for his open word." In the New English Hymnal some unknown reviser(s) changed "thanks" to "praise" in the first line of every verse and made numerous other changes. They've changed "Praise God for his open word" to "Praise him for his saving word" in the last line of each verse, adding a capital letter on "Word" in the verse about the incarnate word. They've cut out one verse (the one about the word spread orally throughout the world). They've changed the order of the verses so that we get the one about the scriptures before the one about the incarnate Word. This is interesting theologically: I'll come back to it. They've rewritten the fourth line of the Incarnation verse, stupidly, so it no longer spells out the significance of the incarnation, nor makes grammatical sense (though they only needed to retain the full stop that it had originally to remedy the latter fault). Now we are told "Deeds and words and death and rising Tell the grace in heaven's plan" whereas Brooks wrote "Deeds and words and death and rising, Grace in human form declare." They've rewritten the last verse fairly heavily to make it talk about God speaking to us through his spirit, not our spirit within responding to God speaking to us directly. In the course of this they've added some gratuitous man-speak, and they've put in a silly bit about showing us the Father's plan. . . .
R. T. Brooks died in London in 1985, one year before the publication of the New English Hymnal. The tune, WYLDE GREEN, is also relatively modern. It was composed by Peter Warwick Cutts in 1966. In 1989, he moved to Massachusetts where he served as Director of Music at a number of churches (including the First United Methodist Church of Watertown, Massachusetts) and also taught at Andover Newton Theological School, Newton Centre, Massachusetts. Upon his retirement in 2005, he retired to the UK. He has composed over 130 hymn tunes, the best known of which is BRIDEGROOM. The tune is named for Wylde Green, a residential area in Sutton Coldfield in Birmingham, England. The only YouTube video I found for this hymn was a version with lots of drumming. The hymn, set to this tune, also appears in The Hymnal 1982 of the Episcopal Church and in A New Hymnal for Colleges and Schools published in 1982 by Yale University. The tune WYLDE GREEN is also used as a setting for "Oh Give Thanks, for God Is Gracious" which was authored by David Mowbray (b. 1938). The title of the sermon is "Not All Seeds Will Sprout." The closing hymn is no. 560, "We Plow the Fields and Scatter." We sang an arrangement of this hymn as a choir anthem for the Thanksgiving Service in 2012. Despite it being a hymn about planting, it is not a Spring hymn. The people in the hymn were planting wheat or rye or barley or oats in the autumn, as the next line is about the "snows of winter" (though I suspect the "snows of winter" is meant metaphorically here). Winter wheat is a "winter cereal." It is one of the varieties of wheat that must be planted in the autumn. Winter cereals will not form heads of grain the following spring unless they have experienced a month or two of cold winter temperatures. Winter cereals evolved to take advantage of the moisture of the melting snow in the Spring, but there's a limit to how harsh a winter the winter grains can withstand. Rye is hardier than wheat and can survive very harsh winters. I already told you what happened to my father when he decided to make barley his winter crop. 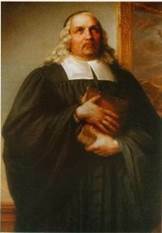 The German author of the hymn "Wir pflügen und wir streuen" was Matthias Claudius, a Lutheran pastor. He was born in Holstein at Reinfeld (near Lübeck) on 15 Aug 1740. In 1759, he studied theology at the University of Jena, but didn't care for how the subject was being taught at the time and decided to study languages and the law instead. He went to Denmark where he was employed as a private secretary of a count in Denmark. He then returned to Germany to become a member of the staff of a news agency in Hamburg. None of the above would appear to have prepared him to write a poem about plowing and scattering, but then, in 1776, he was appointed a Commissioner of Agriculture and Manufactoring of Hesse-Darmstadt. In 1777, during an illness, he had a spiritual re-awakening. He wrote "Wir pflügen und wir streuen" in 1783. He died 21 Jan 1815. Miss Jane Montgomery Campbell translated the hymn into English in 1861. We've always sung this hymn to the tune WIR PFLÜGEN. 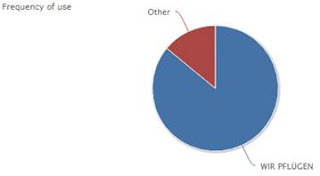 In fact, as can be seen from the pie chart below, the tune WIR PFLÜGEN is, by far, the tune to which "We Plow the Fields, and Scatter" is most often set. Unfortunately, the 1990 Presbyterian Hymnal uses another tune, NYLAND, a Finnish folk melody. The tune, WIR PFLÜGEN, is by Johann Abraham Peter Schulz. It was published anonymously in 1800. The stanzas are usually sung in unison and the refrain in harmony. Johann A. P. Schulz was born in Luneburg, German, in 1747. His father hoped that he would become a pastor, but he was more interested in music. He left home at age 15 and went to Berlin to find a music teacher. He studied under Johann Kirnberger. After his studies, he became the music teacher and accompanist for a princess of Poland, Princess Sophia Woiwodin in 1768 and traveled with here around Europe. His time with the princess greatly enhanced his job opportunities. He served as director of the Royal French Theater of Berlin from 1776-1780, then as director of music for the Prince of Prussia (1780-1787), and director of the Royal Danish Theater (1787-1795). Johann Schulz died at Schwedt und der Oder, Germany, in 1800.
https://youtu.be/FNwDpHTNnEg "Wir pflügen und wir streuen"
The tune NYLAND, which the 1990 Presbyterian Hymnal uses, is most frequently used with the hymn "In Heavenly Love Abiding." The tune is named for a province in Finland and comes from Kuortane, South Ostrobothnia, Finland. The tune also goes by the name KUORTANE. The instrumental music is from The Organist's Library, Vol. 49. The prelude is "Contemplation on 'Wareham', " an arrangement by "Gerald Peterson." "Gerald Peterson" is just a pseudonym. The composer is actually Lani Smith. Lani Smith had more than 4,000 of his compositions published. He used many pen names, including Gerald Peterson, Edward Broughton, David Paxton, Franklin Ritter, Tom Birchwood, and Christopher Gale. Lani Smith was born in Cincinnati, Ohio, on 09 Jun 1934. He died on 24 Jun 2015 in Tucson, Arizona, where he lived with his wife of thirty-five years. Even in semi-retirement, he wrote several arrangements for organ every week. The tune WAREHAM (1738) was composed by William Knapp who was born in Wareham, Dorsetshire, England, in 1698. He died in Poole, Dorsetshire, England, on 26 Sep 1768. The Dorset Magazine—Dorset Life calls him, a "one-hit wonder." http://www.dorsetlife.co.uk/2013/02/the-one-hit-wonder-of-wareham-william-knapp/ The article says of William Knapp's WAREHAM: "A remarkable feature of the tune is that, except in one place, it proceeds 'by step' (that is, one note up or down), and it is this that makes it so singable." William Knapp was a glover. He was parish clerk at St. James's Church, Poole, from 1729 until his death in 1768. At Old South Haven, we often sing Fred Green's hymn "The Church of Christ in Every Age" to the tune WAREHAM on Reformation Sunday. Other hymns sung to the tune include "O Love of God, How Strong and True," "Jesu, Thou Joy of Loving Hearts," "O Wondrous Sight (or Type)! O Vision Fair," "So Let our Lips and Lives Express, The Holy Gospel We Profess," "Oh, Thou Who Camest from Above," "Great God, We Sing That Mighty Hand By Which Supported Still We Stand" and "Thy Years, O God, Through Ages Last." The offertory is "Prayer Response" by Mark Davis, a contemporary composer/arranger. "Mark Davis" may be a pseudonym. Other works by Mark Davis are "Bread of the World," "Bring Us Hope Tonight," "Communion Song," "Just One God," "This Tiny Hand," "Meditation on 'Tis So Sweet' (to Trust in Jesus)"—the well-known William Kirkpatrick hymn https://youtu.be/vS0ZRGO3Fhs , and "Resurrected Lord." One source suggested that his actual name is Kōji Makaino who was born in Japan on 26 January 1948. That is likely to have been a misidentification. Kōji Makaino is a composer and arranger, and he does use the pseudonym "Mark Davis," but he is known for his pop music and music for anime soundtracks and commercials. "Go Out with Praise" by Gilbert M. Martin is the postlude. Gilbert Martin was born in Southbridge, Massachusetts, in 1941. He attended the Westminster Choir College in Princeton, New Jersey, graduating with a B. Mus. Gilbert Martin composes works for piano, organ, and choral groups for both churches and schools. He now lives near Dayton, Ohio. Sermon: "Not All Seeds Will Sprout"
The first in a series on "Being Spiritual"
This Sunday we will hear the winner of the 2017 Peacemaking Essay Contest, Liesel Steinhauer, read her prize-winning essay. The introit is “O Come, Let Us Sing Unto the Lord,” by John Johnson (1983), which we first sang in June 2014. The opening hymn is “Behold the Goodness of Our Lord,” no. 241. The text is a versification of Psalm 133 written by Fred R. Anderson in 1987. The tune is CRIMMOND by Jessie Seymour Irvine (first published in 1872, but believed to have been written much earlier). The Rev. Dr. Fred R. Anderson retired as the pastor of the Madison Avenue Presbyterian Church in Manhattan in May 2015. He was born in southern California and in 1963 began a singing career in opera, concert, and musical comedy. After serving in the USAF, he resumed his singing career in San Francisco, then enrolled in Princeton Theological Seminary. He received a Master of Divinity degree in 1973 and a Doctor of Ministry in 1981. Since the fall of 1991, he has been a trustee of Princeton Theological Seminary. This hymn is sung to two tunes, DETROIT and CRIMOND. In the 1990 Presbyterian Hymnal it is set to CRIMOND. Jessie Seymour Irvine (b. 26 Jul 1836, Dunottar, Scotland; d. 18 Jun 1887, Aberdeen, Scotland), the composer, was the daughter of a Church of Scotland parish minister who served at three churches in Aberdenshire, Scotland. One church was at Crimond. The tune CRIMOND is known best for its use as a tune for a setting of the 23rd Psalm. Jessie Irvine is buried in St. Machar’s Cathedral, Aberdeen. https://youtu.be/eji6_VIbUuE tune CRIMOND played by Neo Brass Band and the Hammonds Saltaire Band, with timpani, cymbals, snare drum, bass drum, and a very dramatic ending! The words of the anthem, “A Song of Peace,” are by Lloyd Stone. The music is from the hymn-like portion of Finlandia composed by Jean Sibelius in 1899-1900. Finlandia had no words. The singers of Harmonious Combustion are Nan Geary, Linda Girton, and Mary Walker. Lloyd Stone’s poem was first set to the music in 1934 and published by the Lorenz Publishing Company. By the late 1930s, this setting had become popular with the Wesleyan Service Guild of the Methodist Church. The Wesleyan Service Guild adopted it as its official hymn and (unfortunately) had verses added to it by Georgia Harkness to “Christianize” it. Lloyd Stone’s words appear in at least 18 hymnals, including the red Rejoice in the Lord hymnal (the hymnal that Old South Haven used before we went to the blue 1990 Presbyterian Hymnal), the Methodist hymnal, the Lutheran hymnal, the UCC hymnal, the hymnal of the Reorganized Church of Jesus Christ of Latter Day Saints, and the new Presbyterian hymnal (2013). Its appearance in The Hymnal for Friends, published by the Friends General Conference (Philadelphia, 1955) is the earliest use of it in a hymnal I have found. Yale University Press published it in its Hymnal for Colleges and Schools the following year (1956). It then appeared in the Methodist Hymnal of 1966. Lloyd Shelbourne Stone was born 29 Jun 1912 in Fresno, California. His parents, Lowends Columbus Stone and Gurtha Emalaine Marr were born in Missouri. They had married in Texas County, Missouri, in February 1910, then moved to California. Lloyd’s father, Lowends Stone was from a very large family (brothers: Virgil, Frederick, Russell, Oscar, and Curtis; sisters: Mildred, Grace, Mary, and Ruth). In California he got a job as a “well puller” and worked for the Associated Oil Co. of Coalinga, California, on the Shawmut Lease. His mother was a seamstress. 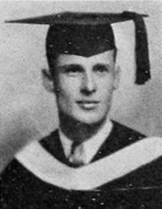 Lloyd Stone attended Lindsay High School, Lindsay, California, graduating in 1930. He was president of his class in his Junior year. He then attended the University of Southern California. He wrote “This Is My Song” before, or at about the time of, his graduation from USC. In October 1936, at age 24, his name appears on the passenger list of the S. S. Lurline on its voyage from Los Angeles Harbor to Honolulu in the Territory of Hawaii. "Mr. Stone is probably among the most versatile contributors to the arts of whom Hawaii can boast. His poetry reflects Hawaii. He does not sing of the palms and the surf, but of the earthy human beauty which is the heritage of the islands. He finds his niche as an interpreter of that which lies beneath the lovely outward shell of Hawaii. He has made Hawaii his home. And Hawaii is fortunate." The Legislature of the Territory of Hawaii passed a concurrent resolution in 1951 “bestowing the honor and title of poet laureate of Hawaii (Ka Haku-Mele O Hawaii) on Lloyd Stone. He wrote many books of poetry while in Hawaii, illustrated his own works and those by others, and also created and sold greeting cards. 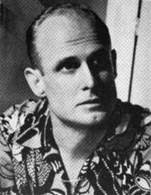 His published works include: For You (with decorations by the author) (1937)—[original title For Me], Poems to Be Served with a Poi Cocktail (1940), Lei of Hours (1941), Hawaiian War Chant (1942), Aloha Means an Island (1944), In This Hawaiian Net (1945), Hawaiian Christmas (1945), Keaka, the Hawaiian Fishboy by Max Keith, illustrated by Lloyd Stone, Laughter Wears a Coconut Hat (1948), Escape to the Sun with illustrations by the author (1949), The Cave of Makalei: Old Hawaii Pageant Aloha Week (1958), Song Stories of Hawaii by Carol Roes with drawings by Lloyd Stone (1959), A Children’s Hawaiian Program: “Eight Islands” by Carol Roes, with drawings by Lloyd Stone (1963), Boy's Illustrated Book of Old Hawaiian Sports (na pa'ani kahiko) (1964), Christmas Luau (1976), and San Joaquin Carols (1977). Most of the volumes were self-published. His works during the period 1943 to 1946 were published by Keith-Stone (a partnership between Max Keith and himself). After spending many years in Hawaii, he returned to California. He served as state president of the California Federation of Chaparral Poets in 1982. His father died in Lindsay on 30 Jan 1978. His mother lived to be 100, dying on 03 Dec 1987. Lloyd Stone died, age 80, in Visalia, Tulare County, California, on 09 Mar 1993. The Old Testament reading is just two verses, Deuteronomy 31:7-8. Moses is 120 years old, and Yahweh has told him that he will not cross the Jordan. Deu 31:7 Moses then summoned Joshua and, in the presence of all Israel, said to him, 'Be strong, stand firm; you will be the one to go with this people into the country which Yahweh has sworn to their ancestors that he would give them; you are to be the one who puts them into possession of it. "Well, I don't know what will happen now. We've got some difficult days ahead. But it really doesn't matter with me now, because I've been to the mountaintop. And I don't mind. Like anybody, I would like to live a long life — longevity has its place. But I'm not concerned about that now. I just want to do God's will. And He's allowed me to go up to the mountain. And I've looked over, and I've seen the Promised Land. I may not get there with you. But I want you to know tonight, that we, as a people, will get to the promised land. So I'm happy, tonight. I'm not worried about anything, I'm not fearing any man. Mine eyes have seen the glory of the coming of the Lord." — the Rev. Martin Luther King Jr.
An account of this exorcism appears in all three synoptic gospels, with the account in Mark (Mark 5:1-20) being the longest. At the end of the story, the people of the town come to see what had happened, and they are afraid. They ask Jesus to leave the region. The accounts don’t say what the people are afraid of, but for someone born on a farm, that seems fairly obvious. They undoubtedly feared losing more of their livestock. The death of so many hogs would have been a huge financial loss to the people who owned them. They surely would have depended on their hogs in order to generate enough income to afford the other necessities of life, just as hog farmers do today. Also, considering the inability to transport large quantities of livestock from place to place in those days, the loss of the large number of hogs would have dramatically affected the amount of food available in the area. If Jesus kept driving demons into pigs, who then immediately drowned or otherwise immolated themselves, pork would very quickly become quite scarce. People might even starve. I can see why people were upset. Losing an entire herd of hogs is no small matter. Mark surely exaggerates a bit, but that there was such a large herd of hogs implies that pork was a major source of protein for the community. The loss of the entire herd must have been devastating. I expect that some of the swine were just shoats, but still, such a large herd surely would have represented a large portion of the wealth of the community. There would now be many workers and herdsmen who were out of a job and unable to bring home the bacon for their families. Now, what would they eat? No wonder the people were afraid and asked Jesus to leave. They had just lost all their swine! What next? their sheep? their chickens? Also, I can understand why the man who was healed wanted to leave with Jesus. Even though he wasn’t at fault, he probably realized that it wouldn’t be too long before some would begin to blame him for what had been lost. The second hymn is “Give to the Winds Thy Fears, “ or “Befiehl du deine Wege,” hymn no. 286. The text of this hymn was translated by John Wesley, the son of Samuel and brother of Charles, in 1739, but it was authored by Paul Gerhardt in 1656, eighty-three years earlier. Paulus Gerhardt was born at Grafenhaynichen on 12 May 1607 and attended the University of Wittenberg. He then went to Berlin where he served as a tutor and married Anna Maria Barthold in the household of those he was tutoring. He also preached while he was tutoring. After that, he served many churches in and around Berlin. John Wesley’s translation of this hymn declined in popularity after 1840, though it showed a brief resurgence of popularity around 1870. The text is sung to many tunes. In the Presbyterian Hymnal (1990), it is sung to ST. BRIDE, composed by Samuel Howard in 1762. Dr. Samuel Howard, an organist and composer, was born in 1710 in England. He was a chorister in Chapel Royal. The title of tune probably derives from the name of one of the congregations he served on Fleet Street, St. Bride’s, in London. He also composed the music of “a Drury Lane pantomime”: “The Amorous Goddess, or, Harlequin Married,” and he composed sonata, cantatas, anthems, and songs. Samuel Howard obtained a Doctor of Music degree from Cambridge University. The 1824 Dictionary of Musicians says he was also esteemed for his private virtues, “being ever ready to relieve distress, to anticipate the demand of friendship, and to prevent the necessities of his acquaintance” [whatever that means]. 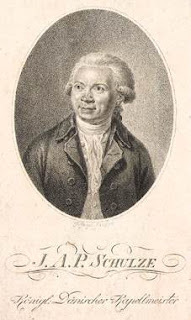 He died in London on 13 July 1782.
https://youtu.be/4qgzE-oqVTE “Befiehl du deine Wege” by Paul Gerhardt sung to a different, but sprightly tune, by Beate Blessing. The closing hymn is “When Will People Cease Their Fighting?,” no. 401. They hymn is modern, written by Constance Cherry in 1986. It is set to a much older tune, RUSTINGTON, composed by C. Hubert H. Parry in 1897. 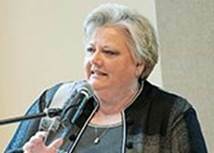 She is now Professor of Worship at Indiana Wesleyan University in Marion, Indiana. Ten of her hymns appear in hymnals. “When Will People Cease Their Fighting?” has been published in six hymnals. The hymn can also be sung to the AUSTRIAN HYMN. https://youtu.be/6IT9FJYqXw0 RUSTINGTON on organ at St. Luke’s Episcopal, Atlanta, Georgia, as setting to “Round the Lord in Glory Seated,” with descant. Stephen Buzard is the son of the president and founder of Buzard Pipe Organbuilders, the company that built the organ he is playing. The tune is by Sir Charles Hubert Hastings Parry, 1st Baronet. Sir C. Hubert Parry was born in Bournemouth on 27 Feb 1848. His grandfather and great-grandfather had been directors of the British East India Company. His father had inherited enormous wealth upon the death of C. Hubert Parry’s grandfather in 1816. Parry’s father was an artist and art collector. 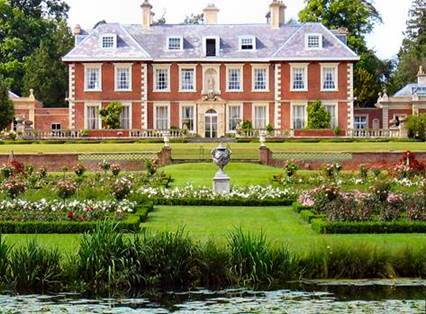 Parry spent much of his early years at Highnam Court, the family’s country estate. 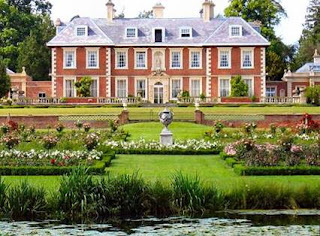 Highnam Court, the estate purchased by the Sir Parry’s father in 1838. After purchasing it, he spruced it up a bit. His mother died twelve days after his birth. His father remarried, and Parry’s step-mother, when giving her attention to children, gave it to her own rather than to her step-children. His father was mostly away, either in London or on the Continent. Parry was sent to Twyford Prepartory School, then to Eton. While still at Eton, he sat for the Bachelor of Music examination at Oxford and passed. He then went to Exeter College, Oxford, in 1867. He is best known for having composed the tune for JERUSALEM to which William Blake’s words are sung. The prelude is “Chant” by Robert J. Powell. Robert J. Powell was born in Benoit, Mississippi in 1932. For 34 years, he was the organist/choir director at Christ Episcopal Church in Greenville, South Carolina. Since retirement, he has been the organist at Trinity United Methodist Church. He also served as organist at the Cathedral of St. John the Divine in New York City. He has a Master of Sacred Music degree from Union Theological Seminary School of Sacred Music. Robert J. Powell, currently organist at UMC, Greenville, SC. Robert Montgomery wrote the words of the hymn. It is sung to at least thirteen different tunes. There are 395 instances of it appearing with the tune ST. THOMAS (Williams), 181 with the tune ST. MICHAEL (Genevan), 176 instances of the tune LABAN, and 82 instances of the words being sung to CARLISLE (Lockart), so I expect Lani Smith has arranged one of these tunes as a piece for organ. However, he may have created an entirely new tune. I found many videos of “Stand Up and Bless the Lord,” but none identified as a Lani Smith arrangement. Here it is sung to the tune CARLISLE by the Oasis Chorale (with a beautiful descant). From 1967 to 1982 he worked for the Lorenz Publishing Company. He was also a church organist and choir director. He composed and arranged thousands of organ, choral, and piano pieces. The postlude is "Marche Héroïque" by William Stickles. William Stickles was famous for his arrangements, so I expect this is an arrangement of another’s composition. There are many works called “Marche Héroïque,” the most famous being a composition for orchestra by Camille Saint-Saëns (Op. 34, 1870). There is a composition for organ by A. Herbert Brewer called “Marche Héroïque” (1915). It is a shorter work. On 01 Dec 1919, he married Clara Hazard of Los Angeles in Trinity Chapel, New York City. She was a soprano and soloist at St. John’s Protestant Episcopal Church in Los Angeles. He had been touring with her and Theodore Karie (tenor) as their accompanist. He produced many arrangements of standard works for chorus, organ, and piano, and also composed original pieces. He did arrangements of “Smoke Gets In Your Eyes” (music: Jerome Kerns, words: Otto Harbach), “Bali Ha’i” (music: Richard Rogers, words: Oscar Hammerstein II), “Summertime” (SATB) (George Gershwin and Du Bose Heyward), “easy-to-play piano arrangements” of the songs of Cole Porter’s “Kiss Me Kate,” and also a collection of arrangements of “cowboy duets,” along with arrangements of the songs of many other popular musicals (“Oklahoma,” “West Side Story,” etc. ).